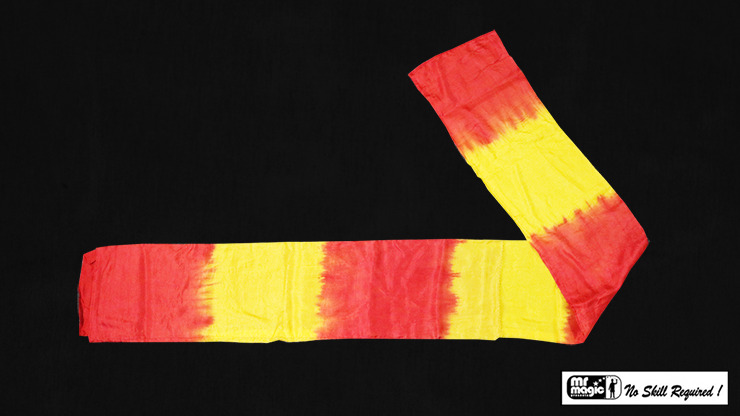 You begin by showing a streamer that is colored yellow and red, in a twist. Then you do a magical change to cause them to melt into two separate streamers, one red and one yellow. You are supplied with one gimmicked bi-colored streamer and one yellow streamer for this effect.